Note: Reading this article assumes you have read the informed consent on this site. Never self-treat based on this article. Always consult licensed medical and mental health practitioners. 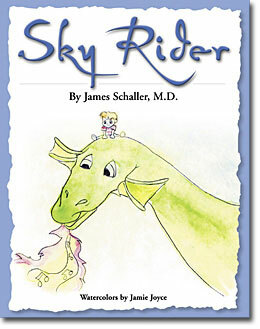 A fun�story that teaches your child how to stay safe. 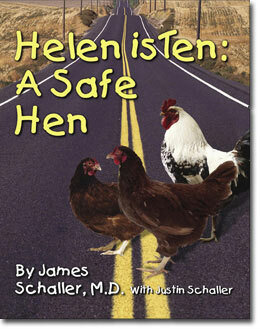 Good luck finding a better child's picture book on safety at ANY price! 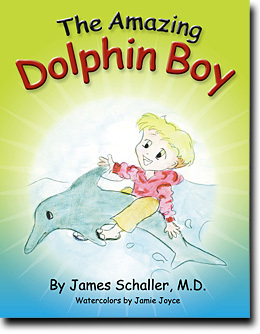 Dr. Schaller is a child physician who is passionate about protecting the health of all children. Share with any child in your life and perhaps save a life! Buy Printed Book at Amazon.com! A funny & amazing relationship between a massive dragon and a lonely boy with a good heart. This book has humor, amazing twists and a joyous end. School can be a challenge to young children. They can feel adults are not available. 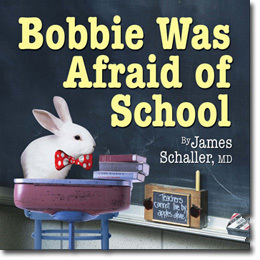 This book combines humor with some solutions to handling bullies. 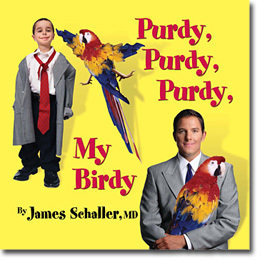 Purdy, Purdy, Purdy, My Birdy is a warm and satisfying story of the play between a child and his parrot. A relationship that lasts decades. 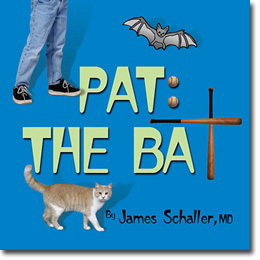 Children learn that even a cartoon bat can be a friend. This book teaches kids to give others a chance, especially those that are not attractive. 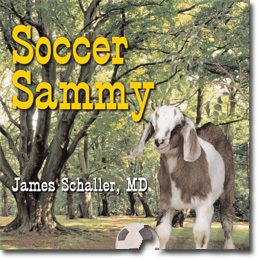 Soccer Sammy tells the adventures of boys and girls playing serious soccer with their funny pet goat. Sammy is a ton of laughs and leaves children with a solid smile before bed. Finding new friends can be slow. This book offers hope and fun to children in new neighborhoods or new schools. It shows a poor start with new friends can change for the better! A child says a simple prayer which is answered in an outrageous way. 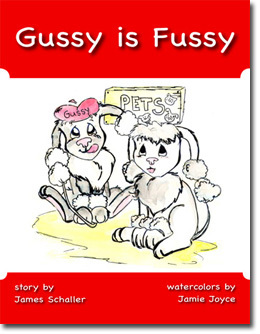 Gussy is Fussy shows the outrageous actions of a poodle that is too smart. Full of laughs and crazy doggy actions. This highly readable book was written over a ten year period as Dr. Schaller treated hundreds of clients with troubled father relationships. 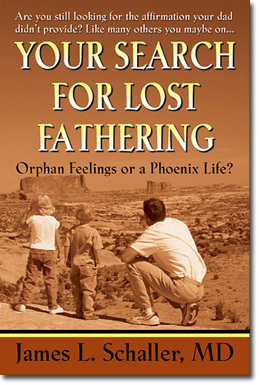 This book received strong international praise for clarity, amazing story-telling, and healing. It has been translated into French, Korean and Russian. Only $4.25 -- ORDER/DOWNLOAD HERE! *** Note: These e-books requires Adobe Reader to view/print. You can download the latest Reader free. Go to www.adobe.com and follow the instructions.